It’s been about a decade since Vevo was launched. This video hosting service is the result of a collaboration between major players in the entertainment industry including Sony Entertainment Music, Universal Music Group, Google and Warner Music Group. Vevo is highly popular so if you love music videos, you have probably heard about this streaming service. It offers videos from chart-topping artists and it also offers the chance to discover new music via its website and YouTube. There are also convenient mobile apps that let you enjoy videos on the go. You can enjoy classics, new songs, exclusive videos, life performances, get recommendations and more. Originally Vevo was set to be only available in the United States, but it has expanded over the years and nowadays, it is possible to access Vevo in a wide selection of countries. However, there are still many locations where Vevo is blocked. The problem is that due to licenses and exclusivity agreements, many videos can only be watched in certain countries. In some cases, Vevo is completely blocked so it is not possible to access any content at all. The restrictions are also the result of piracy concerns and disputes with some organizations. For instance, in the past, Vevo videos on YouTube were not accessible to German viewers due to dispute between GEMA, a German performance rights agency and YouTube. 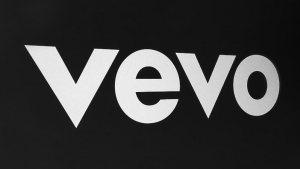 In other locations, Vevo remains blocked due to ongoing concerns about piracy or simply because the owners of the content don’t want to make their content available in some parts of the world. The solution to get around the restrictions is to mask your IP address. That way, when you access Vevo, it won’t be able to identify your location. If you are in a country where Vevo is not available or where some videos are blocked, you can rely on a VPN to disguise your IP address by connecting to a server in a country where the content can be accessed. That way, you won’t have to deal with the errors that appear as a result of geo-restrictions. Your IP address will show that you are in a location supported by Vevo, or where the video hat you want to watch is not blocked. Some of the countries where it is possible to enjoy Vevo are Australia, Ireland, Netherlands, United States, Canada, Brazil and Mexico. All you need to do is to connect to a VPN server in any of these or other countries where Vevo’s content is available. Why a VPN and not a proxy? If you are familiar with proxies and their unblocking capacity, you may be wondering why you should prefer a VPN over them. Well, the truth is that while both technologies can be effective when it comes to bypassing online restrictions, a VPN offers some important advantages. The main one is that a VPN also protects your online data from eavesdroppers, malicious hackers and other threats. When you use a VPN service, your entire traffic is encrypted, which prevents others from seeing what you are doing online. If you don’t want your ISP, major corporations, the government or anyone else to see your browsing history, the videos that you watch or anything that you do online, a VPN is the best call. Another reason for choosing a VPN over a proxy in order to get Vevo unblocked, is that a VPN can work better in countries that have strict online restrictions in place. Many high quality VPNs use advanced solutions to avoid restrictions and even hide the fact that a VPN is being used. This can be very useful in countries that aim to prevent people from bypassing restrictions. Many streaming services would also try to stop you from using a VPN to defeat their geographical blocks, but thanks to the technology that many VPNs used and the fact that they update their servers in a regular basis, they are more likely to get around the restrictions than a proxy. Here is the list of the VPN services that we recommend for Vevo. One of the most important aspects of privacy protection is speed. If you want to get the most of Vevo, or any other streaming service, it is important to opt for a provider that is fast and that is exactly what ExpressVPN is. Apart from offering amazing speeds, ExpressVPN is known for its high security. This provider protects your data with strong encryption. It also offers excellent apps that will let you enjoy security and online freedom in different platforms. Since Vevo offers convenient mobile apps that let you watch videos on the go, it is great to have a VPN app that lets you bypass the restrictions and stream videos from anywhere. ExpressVPN doesn’t keep logs of your online activities. Surfshark has only been around for a few years, but it has already impressed users all over the world due to its remarkable speeds, high security and powerful unblocking technology. You can overcome restrictions around the world and enjoy access to the content that you want. Surfshark has over 800 servers in more than 50 locations, including many of the countries where Vevo is available. You can bypass restrictions, even in countries that attempt to place blocks on VPNs. This is because it offers a mode known as Camouflage, which hides the fact that a VPN is being used. Surfshark is also fast and secure, and it doesn’t keep logs that could compromise your privacy. With over 3000 servers in more than 50 countries, CyberGhost is another good solution to defeat the blocks that prevent you from watching the great catalog of videos that Vevo offers. CyberGhost gives you access to many servers around the world, so you are likely to find one that lets you bypass the geo-blocks applied on Vevo. CyberGhost has a strong commitment to privacy and it offers strong security, as well as features that are set to help you to defeat blocks effectively. CyberGhost doesn’t keep logs and it offers high quality software for all major platforms. It is an affordable, well-established VPN solution that will also help you to get Vevo unblocked. We also recommend NordVPN, a provider that provides a high level of security and that also gives you all the features needed to enjoy online freedom. They have over 5000 servers in 60 countries, which is more than enough to ensure that you can overcome blocks and enjoy the content that you want, no matter where you are. NordVPN doesn’t keep any logs at all and it supports features that are designed to make your streaming experience more versatile and very enjoyable. It is another effective solution to bypass the geo-blocks that prevent you from accessing Vevo. NordVPN is also known for advanced security features like Onion over VPN and double VPN encryption.